I'll be surprised if this takes more than a few minutes. 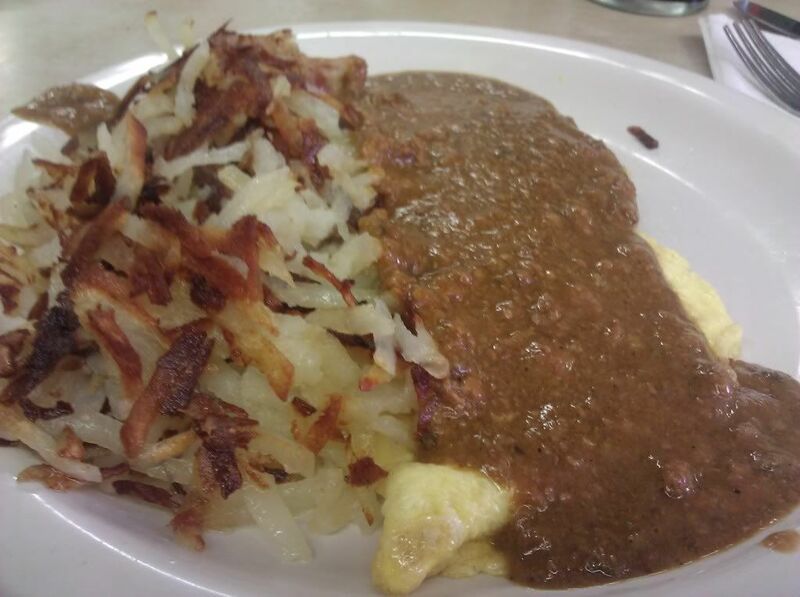 I actually got the very last helping on my customary chili/cheese omelette, the cook made me take a picture. Too bad it's a rotten cell phone pic. As almost everyone knows, last weekend Bridgeport's Ramova Grill closed after more than 80 years of serving chili. At what time did the chili run out? Rene G wrote: At what time did the chili run out? I believe it was around 1pm on Saturday, there was a run on carry out chili.